The cloudless night sky and low light pollution of northern New Hampshire make for excellent star gazing. 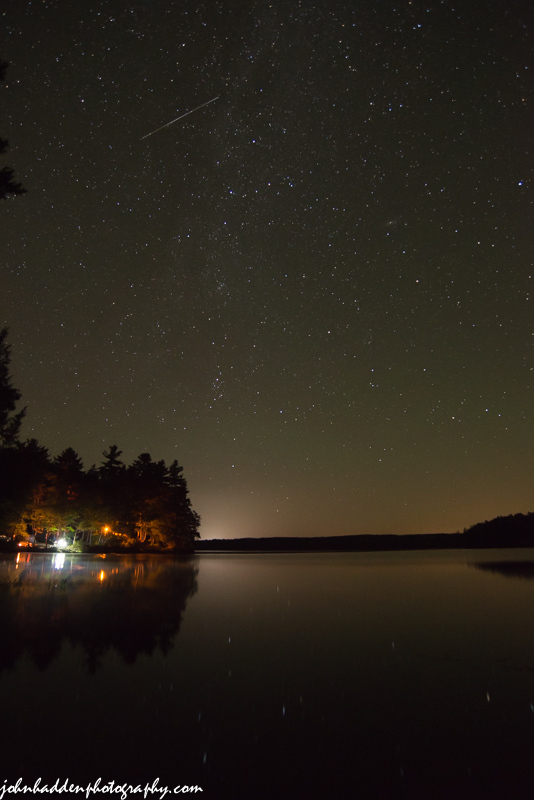 This shot was taken from a campground on the shores of Conway Lake in New Hampshire. The bright lights to the lower right are from a neighboring campfire. A satellite rolls across the sky as well. Nikon D600, Nikon 18-35mm lens @ 18mm, ISO 3200, f/5, 15″ exposure. [ Smiles ] Beautiful picture! Suddenly, I am all in the mood to count stars! Hi Renard. I hope you can count to a very big number!